Live atop an exclusive integrated development. Indulge in an exciting array of retail and gastronomic treats. Shop for your favourite brands in the five-storey retail podium and stock up your groceries at the supermarket. 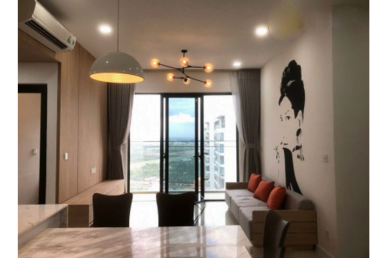 Conveniently located within 15-min drive to the central business district via Hanoi Highway or Thu Thiem Tunnel, Estella Heights is within easy reach to every part of Ho Chi Minh City. 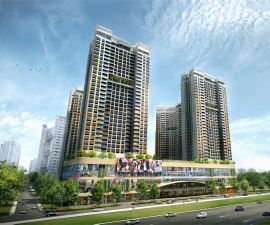 It is within walking distance to all retail amenities as Metro Hypermarket, Parkson Shopping Mall, Lotte Cinema and a host of shopping and dining options in Thao Dien. The development is also close to many reputable international schools including the International School of HCMC, European, British, Australian, German International Schools. With a lush and modern resort setting, homebuyers can enjoy a wide range of amenities such as clubhouse complemented with a private entertainment lounge, gymnasium and cafe, sky gardens, a 400-m jogging trail, two tennis courts, two 50-m swimming pools and a lazy pool for children. Estella Heights will be developed in phases. Phase 1, comprising 496 apartments housed in 2 towers of 33 storeys, with one-to-four bedroom configuration ranging from 60sm to 180sm, is expected to be completed by the end of 2017.